Katte Katte Nee Pookkamarathil song 'review' from the malayalam movie "Celluloid", directed by Kamal is given below. You can also watch Katte Katte Nee Pookkamarathil song video and get the lyrics too. It is a wonderful song under the composition of M. Jayachandran which takes us into a different world. Vaikkam Vijayalekshmi and G. Sriram are on the vocals. The song Katte Katte Nee Pookkamarathil… from the Kamal movie "Celluloid" is been widely accepted by the listeners. It is a simple, impressive song with great feel. This song very much resembles the hit old age Malayalam songs. It is hard to find this genre of music or composition in the present age movies, that itself makes this song distinct and different. The lyrics, music composition and the way of singing altogether had contributed in making this song an amazing one and pleasing to the ears. Lyrics of this song was penned by Rafeeq Ahmed and the music direction was done by M. Jayachandran, a great composer and a singer. M. Jayachandran is known for his composition in the movies "Gaurishankaram" and "Perumazhakkalam". He is a person who has great feel in his musical compositions and as he is a good singer, he can very well explain to the singers what he is expecting from them, this helps in getting fruitful results. That is what has happened here as well. The satisfaction in the face of the music composer after composing the song Katte Katte Nee… reveals that the singers could do what he actually wanted. The singers are G. Sriram and Vaikkam Vijayalakshmi. Another peculiarity of this song is the amazing female voice. 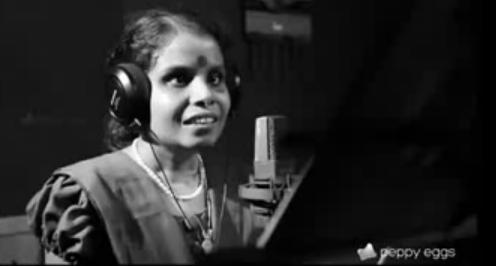 The female portion was sung by Vaikkam Vijayalekshmi, a blind. Its rightly said that if ever God takes away one ability from a person then he/she will be blessed with another ability. Yes, even though she is blind she is blessed with a powerful voice and she has also mastered a one-string instrument, Gayathri Veena. This is her debut song for a film. M. Jayachandran has framed the music to suit the lyrics and the instruments used in the background also have added to the effect of the song. Everything together takes us into a different world or rather era. The Kamal film "Celluloid" is a tribute to the father of Malayalam cinema, J.C Daniel and to Malayalam cinema itself, as it is going to complete 100 years of success. The movie is about the struggles and hardships faced by J.C Daniel to make the first Malayalam movie "Vigathakumaran". Hence "Cellulloid" is about the life of J.C Daniel from 1928 until 1975 and the songs and picturization of "Celluloid" is very much related to the ancient times. The song Katte Katte Nee Pookkamarathil… will also be appreciated for having meaningful lyrics. It clearly suits the situation in the movie. The lyrics says about a tree which had no flowers and which blossomed after undertaking lot of efforts and pain. The situation in the movie is also closely related as it was an attempt by J.C Daniel to make a Malayalam cinema which finally came true. Mamta Mohandas, Prithiviraj and Chandini are acting during the song scene.